Interview with Swarn Singh Kahlon who is a freelance research scholar. They lost their childhood to the 1984 Anti-Sikh Riots. In a moving photo documentary, the children of the horrific October 31-November 1-2, 1984 riots narrate personal tales bound together by the common themes of violence, loss and the death of their childhood, reports Sanchari Bhattacharya. You can still listen to this discussion on the BBC Radio 4 was aired on Monday 14 January at 16.30 (GMT). The fundamental message of Sikhism appears to be simple; God is one and all people are equal. But are some more equal than others? If the Sikh scriptures are consistent with a feminist agenda, why do some Sikh women feel that they are second class citizens? I’m a doctoral candidate in visual anthropology at University of Oxford, and a contributor to the PRG blog. This is to seek your assistance in setting up my fieldwork. My research looks at wedding photography as a mode of representation amongst the Sikh diaspora in the UK. If you have contacts in Birmingham, especially amongst the Sikh community in Birmingham so I can meet someone even if it is for an informal chat, I’d love to hear from you. Since it is an anthropology project I plan to conduct fieldwork involving interviews and participant observation with wedding photographers covering Sikh weddings. It would be wonderful if you know anyone who does Asian wedding photography and would be interested in collaborating/ being interviewed for the project. I’d also love to talk to engaged and newly-wed couples about their wedding ceremonies, wedding albums, how they chose their photographer etc. I would be grateful for any ideas as to how to make contacts so I can attend a few Sikh weddings and get a sense of how the ceremonies are organised and documented via photography and videography. Sikhs in Europe are neglected in the study of religions and migrant groups: previous studies have focused on the history, culture and religious practices of Sikhs in North America and the UK, but few have focused on Sikhs in continental Europe. This book fills this gap, presenting new data and analyses of Sikhs in eleven European countries; examining the broader European presence of Sikhs in new and old host countries. Focusing on patterns of migration, transmission of traditions, identity construction and cultural representations from the perspective of local Sikh communities, this book explores important patterns of settlement, institution building and cultural transmission among European Sikhs. Contents: Introduction: Sikhs in Europe, Knut A. Jacobsen and Kristina Myrvold; Part I Sikhs in Northern and Eastern Europe: Institutionalization of Sikhism in Norway: community growth and generational transfer, Knut A. Jacobsen; The Sikh community in Denmark: balancing between cooperation and conflict, Helene Ilkjaer; The Swedish Sikhs: community building, representation and generational change, Kristina Myrvold; Sikhs in Finland: migration histories and work in the restaurant sector, Laura Hirvi; The Sikhs in Poland: a short history of migration and settlement, Zbigniew Igielski. Part II Sikhs in Southern Europe: Mirror games: a fresco of Sikh settlements among Italian local societies, Barbara Bertolani, Federica Ferraris and Fabio Perocco; ‘Did you get papers?’: Sikh migrants in France, Christine Moliner; Caste, religion, and community assertion: a case study of the Ravidasias in Spain, Kathryn Lum; Sikh immigrants in Greece: on the road to integration, Niki Papageorgiou. 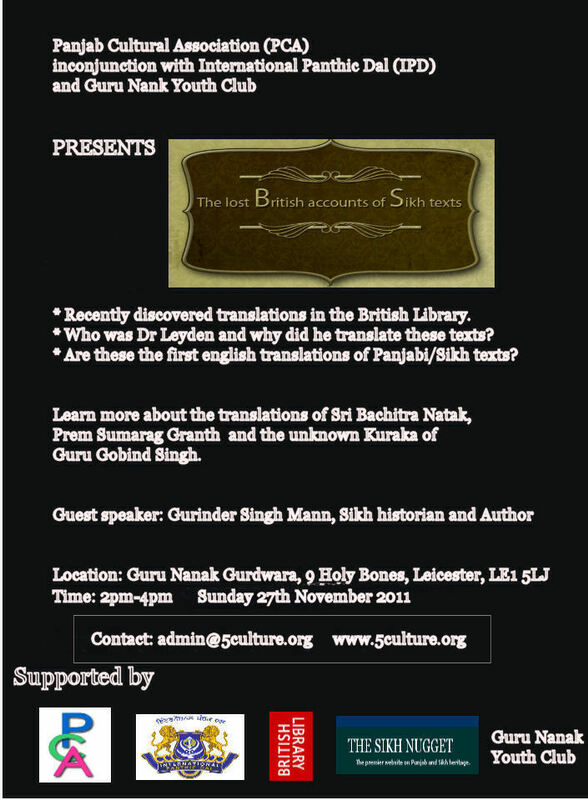 Part III Sikhs in the United Kingdom and Ireland: Sikh diversity in the UK: contexts and evolution, Eleanor Nesbitt; Sikh-ing beliefs: British Sikh camps in the UK, Jasjit Singh; The Valmiki, Ravidasi and Namdhari communities in Britain: self-representations and transmission of traditions, Opinderjit Kaur Takhar; The Sikh diaspora in Ireland: a short history, Glenn Jordan and Satwinder Singh; Glossary; Index. More than a quarter century on, not much remains of ‘1984′ — shorthand for one of the largest pogroms in India’s postcolonial history when thousands of Sikhs were massacred in retribution for Prime Minister Indira Gandhi’s assassination — in the public memory. The voices of victims and eyewitnesses one often heard in courtrooms have almost retired in exhaustion. The names of state-appointed serial commissions to establish the facts on ground have by now joined footnotes of history in a long line of ineffective judicial commissions of similar nature. And more remarkably, the miscarriage of justice through long-winded judicial processes where eyewitnesses routinely turn hostile due to threats, incentives, pressures exerted by fixers, or because of plain weariness has ceased evoking any mass outrage. In any case, the victims are supposed to have ‘got over’ the event and ‘moved on,’ precisely as enterprising and forward-looking communities are expected to do.